Some of the materials collected as part of this project can be used to enhance learning for school and college students taking N5 and Highers qualifications in Religious and Moral Education. In particular, these resources are useful for examining the World Religions units within the following courses. These units are designed to challenge students to interpret and comment on the meaning and context of religious beliefs, practices and sources. For students studying Christianity as a World Religion, the resources you will find here provide a unique opportunity to interpret and comment on these issues. They focus on the development of Christian beliefs and practices in the context of India during the 19th Century, when much of the country was under British control. The resources draw on and showcase primary sources from this time and region – in particular, autobiographical accounts by Indians who became Christian. The resources respond to the Course Assessment Specification related to ‘Living according to the Gospels’ and the ‘Religious experience of Conversion’ by exploring the ways in which these individuals began to think of themselves as Christian in social situations which were often antagonistic to this personal change, for a number of reasons. Exploring the resources will enable students to think critically about these issues, challenging them to place their own understandings about Christian beliefs and practices into a different social, cultural and political context. These teaching resources were developed by Iain Stewart (General Secretary, Edinburgh Interfaith Association) from research and archival work on autobiographies written by Indians converting to Christianity that the project team have been working on. CTLA N5 Resources contains a range of resources designed to help you if you are taking the World Religions unit as part of your N5 RME course, and especially if you are focusing on Christianity within this unit. In this section we will introduce you to Lakshmibai Tilak. Lakshmibai was born in 1868 in western India (she died in 1936). At the age of 11 she was married to 18 year old Narayan Waman Tilak. Narayan was to go on to become a well known poet, writing primarily in the Marathi language of western India. 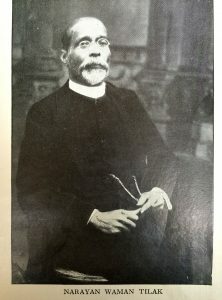 Narayan became a Christian in 1895. Although she at first objected, Lakshmibai eventually followed her husband to become a Christian. 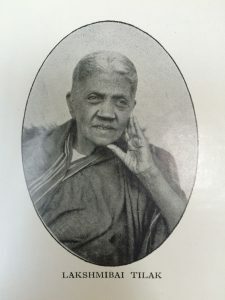 She wrote about her experiences around this time in her autobiography, which is entitled Smruti Chitre in Marathi, or I Follow After in English. As well as publishing her autobiography, Lakshmibai also wrote and published poetry. She achieved all this despite having no formal education. These short videos show passages from Lakshmibai’s autobiography that have been dramatized by an Edinburgh-based theatre artist, Annie George (https://anniegeorge.net/) to help to bring it to life. The CTLA Higher Resources section contains a range of resources designed to help you if you are taking the World Religions unit as part of your Higher RME course, and especially if you are focusing on Christianity within this unit. In this section we will introduce you to Baba Padmanji. 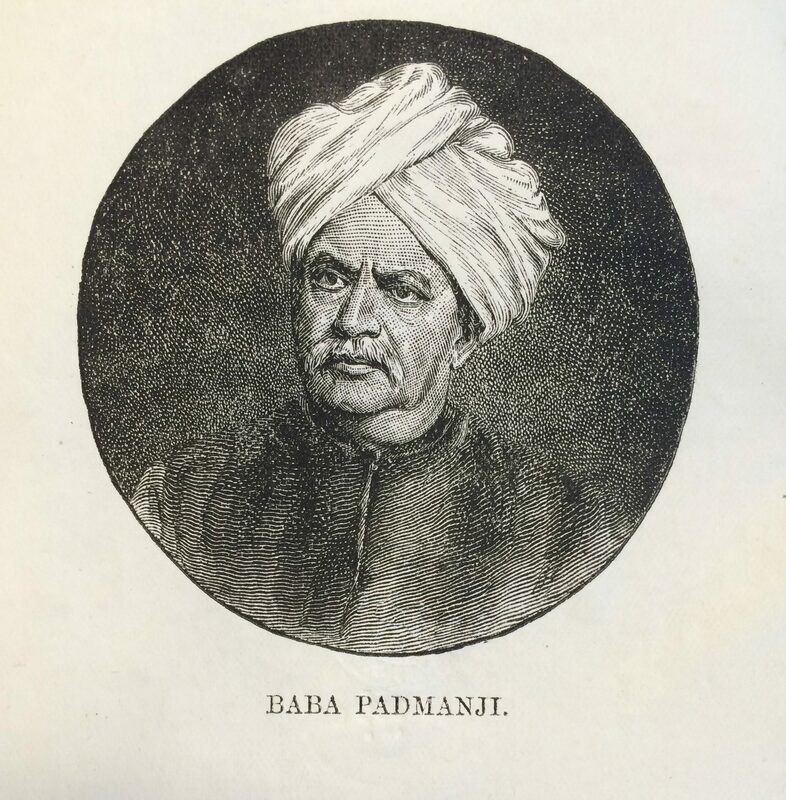 Padmanji was born in western India in 1831 into a Hindu family. From the age of 12 he began attending the local Christian Mission High School. He became increasingly influenced by Christianity from this point on, and eventually he was baptised in 1854. Padmanji went on to become a prominent publicist. He also worked as a teacher and was ordained as a pastor of the Free Church Mission in 1867. His autobiography, published first in Marathi, is called Arunodaya. It was translated into English as Once Hindu, Now Christian. Below you will find some extracts from this autobiography, alongside further resources about Padmanji’s life and times. The following short videos show passages from Padmanji’s autobiography that have been dramatized to help to bring it to life. Robert Frykenberg (2008), Christianity in India: from beginnings to the present. Oxford: Oxford University Press. Beit-Hallahmi, Benjamin & Argyle, Michael (1997) The Psychology of Religious Behaviour, Belief and Experience, Routledge, London. 0 4151 2331 3. Detailed chapter on religious experience, with survey figures etc. Stanley Thornes, Cheltenham. 0 7487 4340 5. Useful sections on religious experience, conversion and mysticism. Connolly, Peter (1999) Approaches to the Study of Religion, Cassell, London. 0 304 33710 2. A comprehensive textbook, dealing with psychological and sociological approaches. Davis, Caroline F. (1999) The Evidential Force of Religious Experience, OUP, Oxford. 0 1982 5001 0. Using contemporary and classic sources from the world religions, she gives an account of different types of religious experience and, drawing extensively on psychological and sociological as well as philosophical literature, deals with sceptical challenges about religious experiences. A sympathetic and somewhat superficial survey. Hood, Ralph W. Jr, et al (1996) The Psychology of Religion – an Empirical Approach, Guildford Press, New York. RMPS: Religious Experience (Advanced Higher) 78 Jordan, Anne et al (1999) Philosophy of Religion for A Level, Stanley Thornes, Cheltenham. 0 7487 4339 1. Useful sections on religious experience and psychology of religion. King, Ursula (1998) Christian Mystics, B T Batsford, London. 0 7134 8107 2. Focuses on 54 men and women mystics. Beautifully illustrated. Wulff, David M. (1997) Psychology of Religion, John Wiley & Sons Inc., New York. 0 4710 3706 0. Tarosa Project - this site has lots of information about Indian religions. If you are interested in finding out more about caste, look at the 'Village of Bisru' case study on this site, which explores this complicated idea in more detail. A Dinner Cooked by the World Kitchen Team in Leith: food for thought? The Languages of Religion: Translating Hopes and Fears…. This research project is funded by the AHRC within the ‘Translating Cultures’ theme. Its full title is “Conversion, Translation and the Language of Autobiography: Re-inventing the Self in Transitions to Christianity in India (1700 - 1947)” and will run from November 2014 to May 2017. See 'About us' page for information on individual project members and academic advisors. Photos and images by project members except where noted.